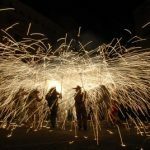 The XVIII Mediterranean Games Tarragona 2018 are taking place since June 22nd and up to July 1st in 16 towns of the Tarragona province. This encounter is a multi-sport games held usually every four years (with some small date changes when it would have been at same time of the Olympic Games), between nations around or very close to the Mediterranean sea, where Europe, Africa, and Asia meet. The games are under the auspices of the International Committee of Mediterranean Games (CIJM), and started in Alexandria, Egypt, in summer 1951. The Mediterranean Games came to Spain in 1955 to Barcelona, and in 2005 to Almería. time as an independent country. Although those games have been delayed (it should have been Tarragona 2017) due to both political and financial issues, the situation was properly held during the last year, and all venues and needed logistics were set up in time. 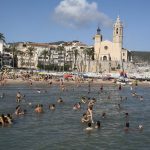 In a meeting in Oran in November 2016, Tarragona was still needing 12 million euros for organisation and venue development, which was the reason to delay the games for one year later and so getting time to fix the situation. But political issues were present even into the opening ceremony, where the stadium could not be entirely full, same as in several sport encounters, where a clear lack of audience has been seen. Price of the tickets and the Football World Championship taking place these weeks are main causes. We don’t have to forget that this event is taking place one year later than planned, where it would not have been coinciding with another one. Overcome the problems, when sports started, everything was supposed to develop in a regular way, except an organisation issue, when no authority was planned to bring medals at the 400 mts women Freestyle. It was Mireia Belmonte who decided to do it, besides having a fabulous personal performance. It is really difficult under those conditions writing something positive about this international event… However, at the moment of finishing this post, all is happening correctly so far (at least) for what is related to sport. At the moment (June 26th), Italy is first in number of medals with 68, followed by Spain with 54, France with 40, and Turkey with 38. And despite all issues, I am sure the beatiful and interesting Tarragona and its province will be in the sight of many touristic operators from now on. The city definitely deserves it, and lots of people will be able to discover a lovely place.